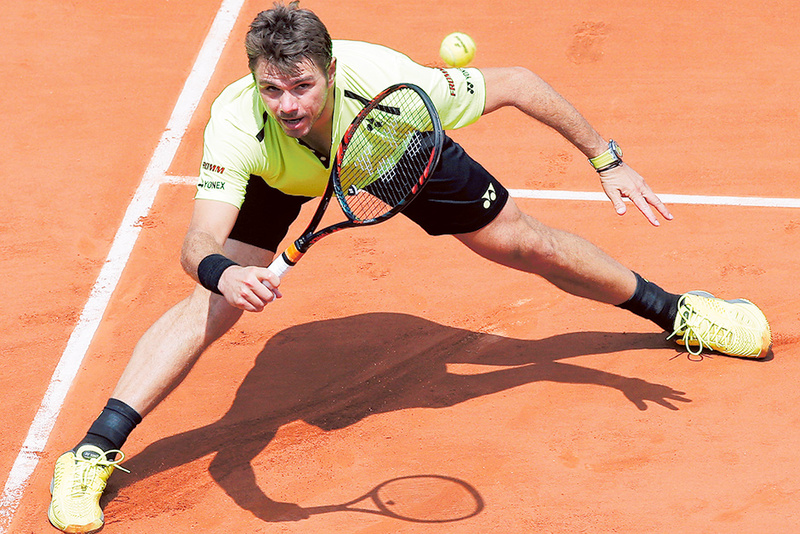 Paris: The funky shorts have gone and, it seems, taken some of Stan Wawrinka’s mojo with them. To defend his French Open title, he knows he will need to get it back. Most notable were the break points the third-seeded Swiss player failed to convert against a player 89 spots below him in the rankings and who stalled in the first round last year, when Wawrinka rode his sublime backhand to the final and won in his now infamous shorts against Novak Djokovic. Fifth-seeded Kei Nishikori is already in gear. The 2014 US Open finalist broke Andrey Kuznetsov of Russia six times and saved seven break points in a 6-3, 6-3, 6-3 win. Nishikori has spent less than four hours in two straight-set wins on the tiring red-clay courts to advance to the third round. Wawrinka has accumulated more than five hours. Croatian Ivo Karlovic became the oldest man to reach the third round of a grand slam for 25 years when the 37-year-old came through a marathon five-setter against Australian Jordan Thompson at the French Open on Wednesday. Karlovic, seeded 27, banged down 41 aces in a 6-7(2), 6-3, 7-6(3), 6-7(4), 12-10 victory against the 22-year-old wildcard. He broke serve at 10-10 and sealed a memorable victory with a volley after four hours and 31 minutes, the longest match of this year’s tournament so far. Jimmy Connors reached the third round at the French and US Opens in 1991, aged 38. In the women’s event, former finalist Simona Halep survived a first-set wobble to reach the third round of the French Open for only the second time in her career with a 7-6(5), 6-2 win over Kazakhstan’s Zarina Diyas. The Romanian sixth seed surrendered her serve twice in the opening four games to trail 4-1 but delved into her wealth of experience to finally subdue her 90th-ranked opponent 7-5 in the tiebreak. More exchanges of breaks followed in the second set before Halep finally found her groove to take a 5-2 lead and set up three match points on Diyas’ serve. The first one went begging but Halep’s gritty baseline play paid off in the next point as Diyas bowed out after flicking a forehand long to end a 10-shot rally. “The first set was very tough and I was very nervous as I seemed to be fighting for every point,” Halep said in a courtside interview. The good news for Halep is that the only previous time she reached the last 32, she made it all the way to the 2014 Roland Garros final. Halep and her bizarre black and white zebra print dress will be back on court on Friday when she takes on Japan’s Naomi Osaka for a place in the fourth round.